Sarah Jane Woodson Early was an African American educator, author and feminist. For 30 years Early was a teacher and school principal in Ohio, and in the South after the Civil War. In 1866 she became the first African American woman professor when she was hired by Wilberforce University to teach Latin and English. 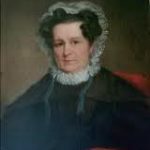 Sarah Jane Woodson, fifth daughter and youngest child of eleven of Jemima (Riddle) and Thomas Woodson (1790–1879), was born free in Chillicothe, Ohio November 15, 1825. Her parents had moved to the free state of Ohio about 1821 from Virginia, where they had been freed from slavery. They lived for some years in Chillicothe, and founded the first black Methodist church west of the Alleghenies. The Woodsons raised a family of eleven children, many of whom became ministers or educators. 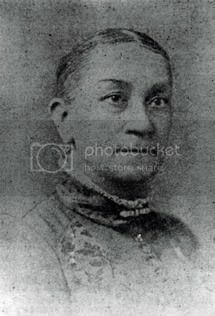 In 1839 Sarah Jane Woodson joined the African Methodist Episcopal Church (AME), founded in 1816 as the first independent black denomination in the United States. Her father and two older brothers were ministers in the church. Son of Hemings and Jefferson? According to a story that was handed down in his family, Thomas Woodson always believed he was the oldest son of Sally Hemings and President Thomas Jefferson. According to historians at Monticello, there is no known reference to a child of Sally Hemings born before 1795 in Jefferson’s papers. A 1998 DNA study of descendants of the Jefferson and Woodson male lines showed conclusively that there is no connection between the Jefferson and Woodson lines. Her father Thomas Woodson helped found the all African American community of Berlin Crossroads, Ohio in nearby Jackson County, where Sarah grew up. In 1830 the Woodsons were among the founders of Berlin Crossroads, a black farming community of nearly two dozen families in nearby Jackson County. The Woodsons became very successful farmers there. By 1840 they had established their own school, stores and churches. 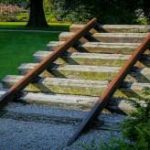 Berlin Crossroads was also important to the Underground Railroad in Ohio. The Woodsons were one of several families who opened their homes to runaway slaves. Most runaways who passed through Berlin Crossroads entered Ohio in Gallia County. After arriving at Berlin Crossroads, conductors helped the runaways reach the next stop: either Chillicothe or Washington Court House. The Woodson family emphasized education for all children. In 1852, at age 27, Sarah enrolled in Oberlin College [link] (1833), the first college open to both women and African Americans. During her college years she taught at several schools in the area that were sponsored by the African Methodist Episcopal (AME) Church. She earned a bachelor’s degree in 1856, becoming one of the first black women to graduate from college. After graduating from Oberlin College, Sarah taught in black community schools in Ohio. In the mid-1800s, it was not easy for an African American woman with professional aspirations. When hired in 1858 to teach English at Wilberforce University, Sarah was not given the title of professor, but was considered the first African American woman college instructor / college faculty member. She was also the first black to teach at an HBCU (historically black college or university) and the only black woman to teach at an HBCU before the Civil War. Founded in 1856, Wilberforce University is the oldest private historically black college or university (HBCU) in the United States. It was named to honor the great 18th century English abolitionist, William Wilberforce. Early in 1856, the AME Church purchased property for the new institution at Tawawa Springs, near Xenia, Ohio. Sarah’s brother Reverend Lewis Woodson was a founder of the college and one of the original 24 trustees. 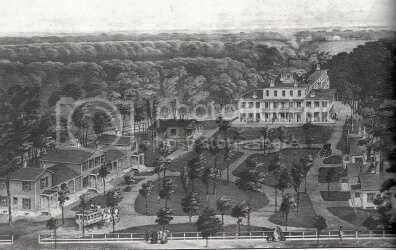 Wilberforce University met with early success until the Civil War, when the school lost most of its nearly 200 subscription students at the beginning of the war. These were mixed-race children of wealthy planters in the South, who withdrew them at that time. The original Wilberforce closed its doors in 1862. While Wilberforce was closed, Sarah taught at black schools around Xenia; from 1860 to 1861 she was principal of schools there. The AME Church purchased Wilberforce and reopened it July 10, 1863; this was the first university to be owned and operated by African Americans. According to Wikipedia’s List of African American Firsts, in 1866 Sarah Jane Woodson Early became the first African American woman professor when she was re-hired by Wilberforce to teach English and Latin. She also served as Lady Principal and Matron. Later that year, Sarah gave a speech named Address to Youth to the Ohio Colored Teachers Association, one of a number of lectures she gave following the Emancipation Proclamation to urge African American youth to join the political and social revolutions. She encouraged them to follow careers in education and the sciences, to lead their race. After years of teaching at Wilberforce, in 1868 she left to teach at an African American girls’ school established by the Freedmen’s Bureau in Hillsboro, North Carolina. The Reverend Jordan Winston Early, a former slave, was an American Methodist preacher, and was a pioneer of African Methodism in the Western and Southern United States. After his mother’s death, when Early was three, he and his siblings were cared for by a maternal aunt and an uncle who taught him astronomy. He became a minister at age 12. 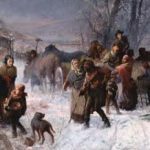 In 1826, Early and his family were taken by their masters to Missouri where Early joined the Methodist Church, and was emancipated the same year. While working on a riverboat that traveled between St. Louis and New Orleans, he was taught to read and write by a Presbyterian minister and a shipmate. In 1832 Early joined the AME Church. In 1836, he was licensed as an AME preacher, and he helped expand the church in St. Louis, New Orleans, Illinois, Indiana and Tennessee. By 1838, he was ordained a deacon. In 1840, Early and other supporters built the first AME Church in St. Louis. In 1843, Early married Louisa Carter, and they had eight children, four of whom survived to adulthood. In the late 1850s, Early preached in Tennessee and founded AME missions in Missouri (Kirkwood, Saint Charles, Roche Port, Washington, Jefferson City, Louisiana, Booneville, Saint Joseph, and Weston). The Earlys sent their children to Wilberforce University, where Early most likely met Sarah Woodson. His wife Louisa died in 1862. 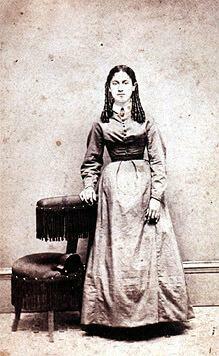 Sarah Jane Woodson, then age 42, married Jordan Winston Early September 24, 1868. They had no children. Sarah Early helped her husband with his ministries and taught wherever he preached for the next twenty years. Believing that education was critical for the advancement of her race, Sarah served as principal of large schools in four different cities as well. Jordan Early retired from active minister appointments and Sarah retired from teaching in 1888, and moved to Nashville. By the time of her retirement, Sarah had taught more than six thousand children. 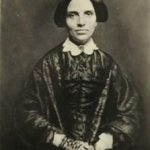 Sarah Early became increasingly active in the women’s temperance movement, one of numerous reform activities of the nineteenth century. In 1888 she was elected to a four-year term as national superintendent of the Colored Division of the Women’s Christian Temperance Union (WCTU); during her tenure, Early traveled frequently and gave more than 100 speeches to groups across five states. In 1893, Sarah Early was named Representative Woman of the Year at the Chicago World’s Fair. Sarah wrote a biography of her husband: Life and Labors of Rev. Jordan W. Early, One of the Pioneers of African Methodism in the West and South (1894). It is available online at Documenting the American South. It has been classified as a post-Civil War slave narrative, as it covers Early’s rise from slavery through decades of missionary activities for the AME church. Sarah Jane Woodson Early died August 15, 1907. Early was a pioneer in education for black women. She broke barriers for women academics at a time when not much was expected from a woman, certainly not from a black woman.